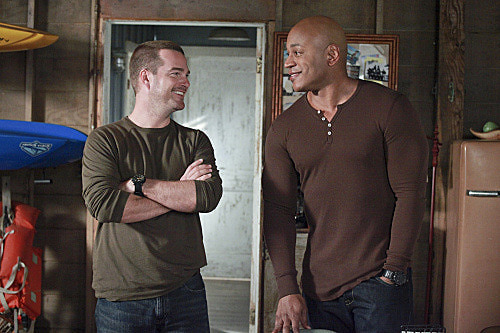 Apparently I have so many things I have to say before going any further with NCIS: LA and there's like roughly 5 posts I'm trying to finish but my brain just keeps failing at the logic and language. I was checking some interviews for the posts and I went to this COD interview from last November (again) - it's nothing special, usual blah blah kind of short, tiny talk but there's some lovely bits and I just LOVE it - his line about glasses I quoted in last picspam was taken from it, also the one I used for LL's birthday photoset too. (Has anyone read it? I wanted to talktalktalk about it with everybody on the planet back then but with all December madness I just missed the time.) But then realized it's locked only for registered users now. :/ Since I had copy&paste saved it on my last visit since I'm crazed fan I'm going to post it here, just for my own reference. 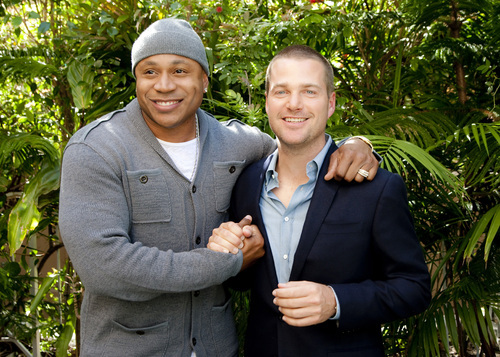 While O’Donnell acts on “NCIS: Los Angeles” opposite LL Cool J, he’s also advocating for influenza vaccinations and is involved in a donation of flu vaccine to AmeriCares to help reach underserved populations. 1 We know you as a tough guy, but you say you’re a little squeamish when it comes to getting your flu shot. You’re touting a needle called the “short shot” for all of us wusses out there. 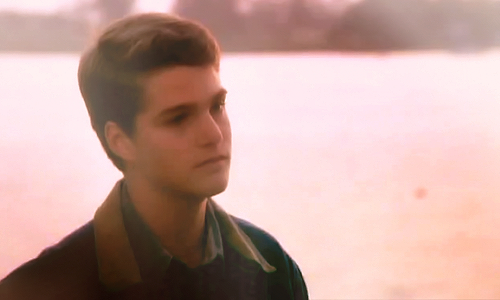 2 For people who remember you playing a teen in “Men Don’t Leave,” it must be hard to believe you’re into your 40s. No one tells you that things get so busy in your 40s that you feel like you just have your head down and you’re running all the time. I feel like my life is on fast forward. It’s shocking how fast it goes. My oldest child is 13 now and at that age where you have full memory of your life. My kids are real people now and getting older by the minute. 3 You film “NCIS” all over Los Angeles. Do you ever get worried going into some of the tougher neighborhoods? I have to say that I’m having a blast working with LL. He’s a great partner in so many respects and I’ve learned a lot from him. He has amazing confidence and is always so positive. He’s the eternal optimist. I’ve seen parts of L.A. that I didn’t even know existed. When we go into the tough neighborhoods, I’m not worried. I’d love to tell you it’s my Chicago street cred, but the truth is I have LL next to me. No one is going to mess with him. 4 Women are often competitive about their bodies. Are you and LL comparing and contrasting on the set? All I can say is he really works out and takes care of himself. His biceps are unreal. It’s like he chiseled granite rock and just attached that to his body. Let’s say that I have stepped it up a bit. 5 You always seem like such a mellow guy. Are you a strict Dad? I am strict about things such as they have to get to bed on time and do their homework. Believe me, I can play bad cop if I have to, but I’m not that bad. It’s all about having common sense when you have five kids. They know when we’re serious about something or not. It is unbelievable how much smarter they are than when we were kids. The pressure is on them, too. My 4-year-old daughter just went for an interview to go to Catholic school. What they asked her? I have no idea. My wife took that one on, while I drove everyone else to soccer games and flag football. I never stop. And yes the thing with needles! Woobie for real! I wonder if G's hate on those is based on his. I also read (I think) another interview where COD talked about the birth of his first child (Lily) and that he was there when his wife Caroline gave her a birth and he fainted. OMGLOL. (But for the life of me I can't find it now - if anybody knows where I can find it please let me knowww!) I was also amazed he never had to wear glasses until this age. Really, in this time/age/generation so many of us wear glasses or contact lenses or having Lasik done and he didn't have to until now? I guess he was just lucky or had magnificent eyesight or just isn't the book guy like he appears to, LOL. Back then I wondered if we get the chance to see him actually wearing glasses in real life - and then 4.13 happened and I was like :O!!!. I don't know the real reason behind it but it does look like COD started wearing glasses gave them the idea, and I appreciate and approve very much they went with it! Also 'the life on fast forward/falling apart' part - I was like 'but you've been always like that!' because I think he always looks just like grandpa on the set. Like 'I'll just sit and read papers while kids having fun.' 'You want to take pictures of me? Okay but do it quick, I need my nap.' XD I think he needs to realize it's just him being himself! I'm still in awe he managed to direct a TV episode, lol. ... Um, I'm kind lost with what I was trying to do here in the first place? XD Maybe I should try making Sunday pic post a weekly or so routine!